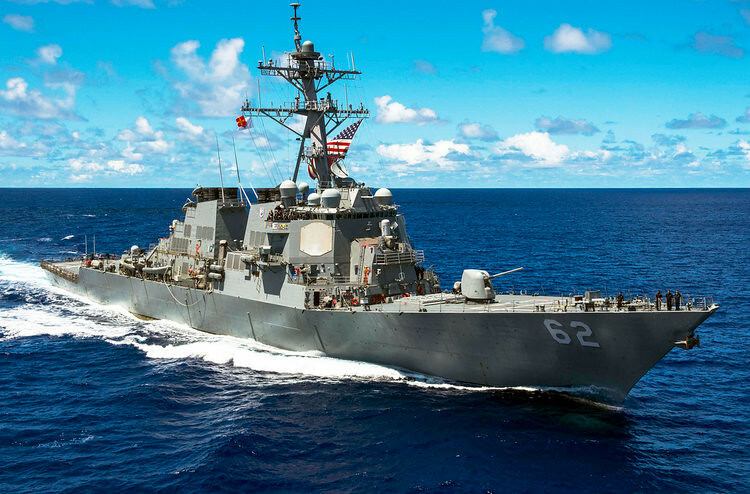 WASHINGTON (NNS) -- The Arleigh Burke-class guided missile destroyer USS Fitzgerald (DDG 62) arrived in Pascagoula, Mississippi, Jan. 19, aboard heavy lift vessel MV Transshelf inward bound from Yokosuka, Japan. Sailors hoist the colors crisp and promptly to start out the New Year. A new year, that starts the continual history of one of the most historic U.S. Naval bases – Pearl Harbor. 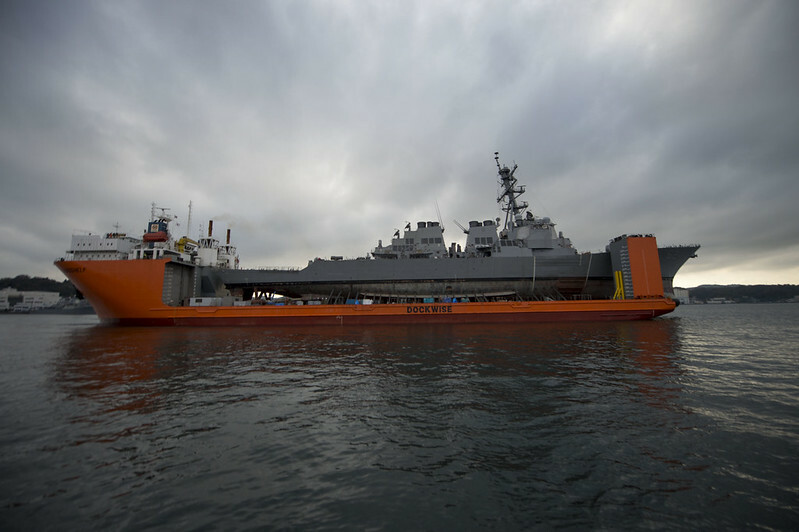 YOKOSUKA, Japan - The guided-missile destroyer USS Fitzgerald (DDG 62) sits aboard heavy lift transport vessel MV Transshelf after departing Fleet Activities Yokosuka and proceeding to anchorage in Yokosuka Harbor to make underway preparations. 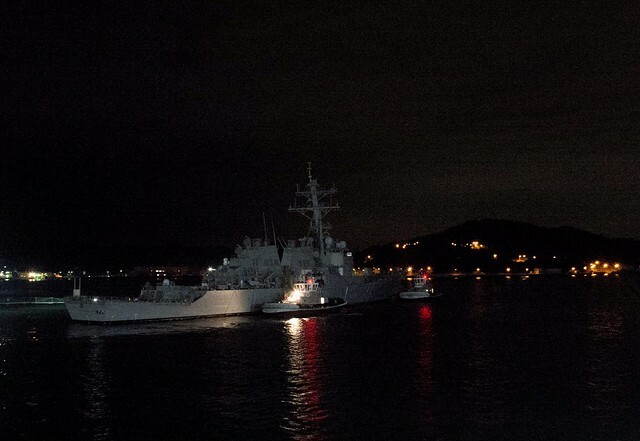 YOKOSUKA, Japan - The Arleigh Burke-class guided-missile destroyer USS Fitzgerald (DDG 62) is towed away from the pier at Fleet Activities (FLEACT) Yokosuka, Nov. 24, to meet heavy lift transport vessel MV Transshelf.